Here’s a big difference between Islam & Christianity. The Bible says no one can get to heaven by their own deeds. Only God can save us and give us heaven. All so-called human good deeds are like filthy rags to a holy and perfect God. God has already revealed to us THE WAY to Him. Anyone who accepts THE WAY, has accepted the promise of a home in heaven. Muslims, you have a big problem. You will never know how many good deeds is enough. You will never know if your good deeds are accepted by your god or will he throw you into hell at the last minute? Actually, do you realize, you are doing all your good deeds for YOURSELF? You are doing it only to get the reward of heaven. Don’t you see that even your good deeds are done out of selfishness, which is a sin! How can a good and holy and just God accept such corrupted and tainted good deeds? 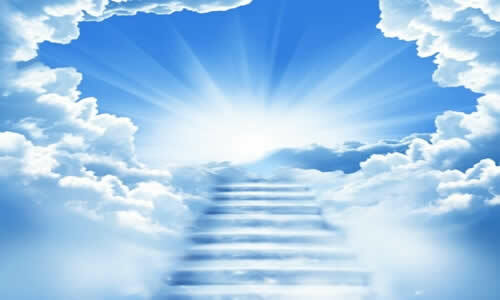 Christians who have accepted THE WAY have the promised inheritance of heaven. True followers of THE WAY do not need to bribe or buy their way into heaven by good deeds. On the other hand, as heirs of heaven, true Christians are now free to do good deeds, not out of selfish motives to gain a place in heaven like muslims but out of gratitude to God, who loves us and has given us a place in heaven with Him. And Christians are able to do good deeds in sincerity and in love to reflect God’s love for the world. What is THE WAY that God has prepared?